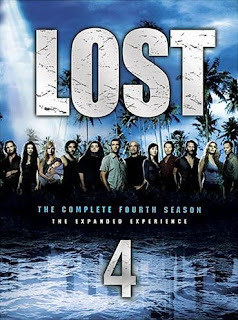 Lost's fourth season was cut short by the US writer's strike, but luckily the early end to the strike allowed the season to return having lost just a grand total of two episodes, leaving the bulk of the planned storyline intact. The Shape of Things to Come picks up where we left off. Danielle and Karl are dead and Alex is a prisoner of the mercenary team led by Keamy. The team launches an assault on the Barracks, the former home of the Others, and Ben, Locke, Sawyer, Claire and Hurley are besieged in one of the houses. Meanwhile, on the beach Jack gets closer to the truth about the freighter crew's true intentions. In the flashforwards, we learn more about Ben's intentions and actions after he left the Island, culminating in a showdown with his arch-enemy, Charles Widmore. This is one of Lost's most action-packed episodes to date, featuring massive explosions, gun battles and one of the most violent appearances of the Monster to date. Between the fireworks are more intense character moments, as Ben underestimates his enemy for the first time and his showdown with Widmore is one of the most dramatically intense moments in the entire series, sold by stellar perofrmances from Emerson and Dale. Something Nice Back Home is a slightly quieter episode, with Jack suffering from appendicitis and Juliet having to operate to save his life. This is juxtaposed with flashforwards showing Jack and Kate as a happy couple off the Island, but a conversation with Hurley and repeated glimpses of his dead father, as well as his discovery that Kate has been keeping a secret from him, serve to set him on the course to self-destruction (cleverly prefiguring the total collapse of Jack's life we saw in the Season 3 finale). Unfortunately, the cleverness of the flash-forwards scenes cannot compensate with a lacklustre 'present' storyline, which is confounded by total left-field plot twists (such as the unconvincing revelation that Charlotte can speak Korean and Claire's disappearance after seeing her dead father). Cabin Fever ups the supernatural quotient as Locke is guided by visions of a dead DHARMA scientist to a meeting with Jacob, only to find that Jacob isn't present and Christian Shepherd - and Claire - are. Once again Michael Emerson turns in a great performance as Ben as he faces the reality that he has been displaced in Jacob and the Island's affections by Locke. Flashbacks reveal that the Island may have been having an impact on Locke's life long before he set foot on Oceanic 815. This revelation, although on the one hand playing down the 'coincidence' aspect of the show and perhaps giving a reason why 815 was pulled towards the Island in the first place (since the plane went off-course long before Desmond's negligence in the Season 2 finale caused it to crash), does feel like an artificial retcon rather than a pre-planned development. It will be interesting to see if they can build on this revelation in future episodes and seasons. As far as season finales go, it's hard beating this one. Action, self-sacrifice, heroism, deaths, more explosions, guest cameos (a great but brief turn from Michelle 'Admiral Cain' Forbes) and moments of real emotional power (Henry Ian Cusack proves himself once again to be the show's most underrated actor in his climatic scenes as Desmond finally finds what he has been looking for) combine to form one of Lost's most satisfying episodes. The end of the episode is a note of real finality. Lost as it has existed for four seasons is dead and gone, and it's unclear how the series will continue from this point on, especially in light of the climatic revelation. With the fourth season and the finale in particular the Lost writers have completely regained the form and storytelling ability it looked like they had lost at the start of Season 3. It will be fascinating to see how the story proceeds from this point onwards. Lost Season 5 will begin filming in August to debut on ABC in late January 2009 and will consist of 17 episodes. The producers are keeping schtum about exactly what the new format of the show will be, but will be putting an appearance in at Comicon in July which will provide some hints. Season 4 will be released on DVD on 9 December 2008 in both the UK and USA.